Along the line from Northampton to Peterboro' are some of the most interesting parish churches in the country. Among them is Castor, once the site of an important Roman station, where the church (bottom) is of late Norman date with a finely Decorated central tower. The churchyard at Bakewell (top left) near Haddon Hall contains a fine Saxon cross, and the Vernon and Manners monuments are in the south transept. 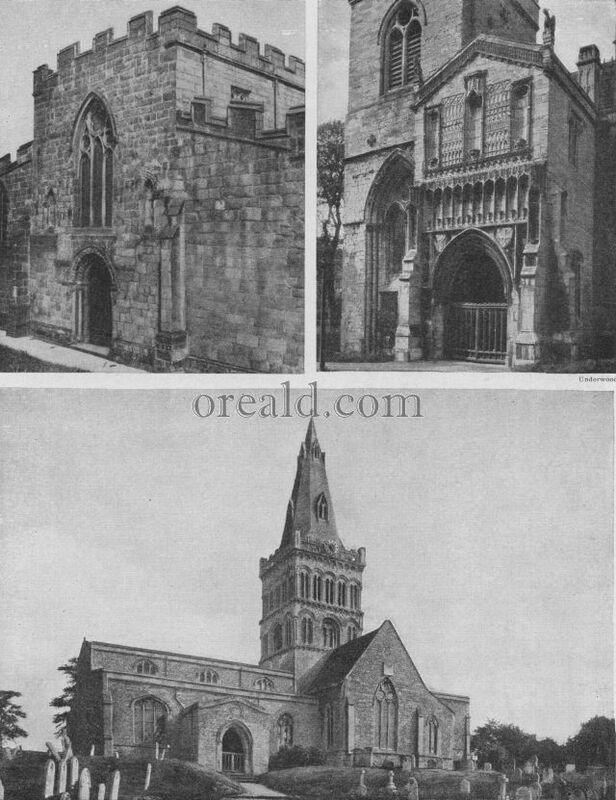 The church of S. Nicholas, King's Lynn (top right) with its fine south porch is Transitional in style (Decorated to Perpendicular).